e-Learning courses are changing the face of education. There are many e-learning websites on the internet offering courses and certifications online. Websites are most certainly the powerful bridge between the students and these online courses. After all, a website is the first and in this case, almost every point of contact between them. So we decided to write about some of the must have e-learning website features. Today, 82 percent of colleges and universities offer several courses online in order to try and provide a transformational opportunity for students who can’t spend six to eight hours a day in a lecture hall. 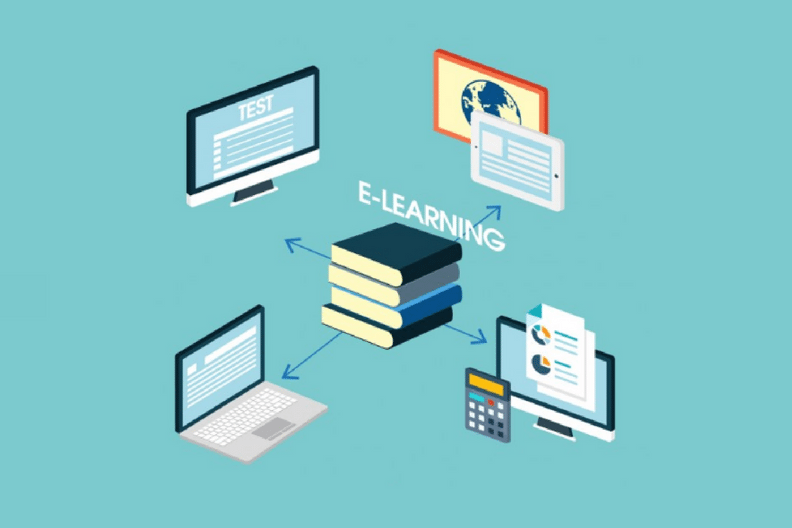 For the past few years, e-learning has become a standard way of learning either with the combination of online and face-to-face approach or as an independent, fully functional method. It has been greatly beneficial to students and educators due to its flexibility, cost reductions, and overall enhanced experience provided by the utilization of advanced technology innovations. Yet, not all such e -learning website features create the amazing learning experience one would expect to encounter. We can easily figure out what some of the prominent e-learning website features that distinguish the most popular websites from the less prominent ones in the niche. So here are 15 most important e-learning website features that provide an enhanced learning experience from the traditional methods! Online admissions are the first crucial step towards e-learning. Shortly after students enroll in a course of their choice, they’ll be asked to log into a learning management system (LMS). This makes online admissions the first one in the list of e-learning website features. The LMS is the platform where students can view their syllabus, learn how to contact their professor and access most course materials, including online readings, videos, audio files and other resources. This is also where students go to participate in discussion boards – written exchanges with fellow classmates. In some systems, students can also email and instant message their classmates and instructors. 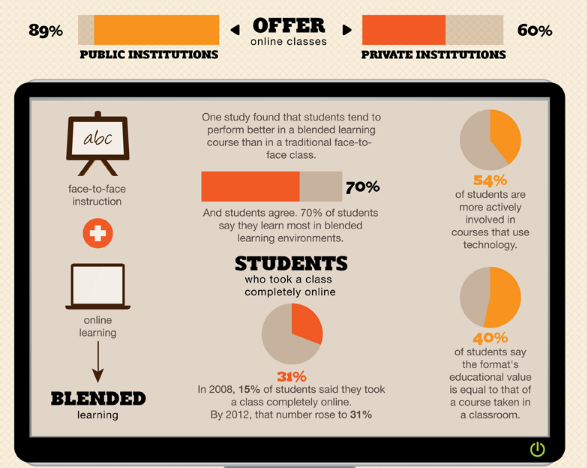 Although some schools design their own learning management systems, most colleges use Blackboard, Moodle, and Desire2Learn. One of the best ways to ensure that participants will benefit from the education you’re giving them is by studying their reactions to a course, and their behavior as they’re taking it. That’s where learning analytics comes in. In an e-learning platform, educators should be able to collect data in which students watch the lectures, where they flag sections for questions, and how often they return to the videos for review—as our educators do with our learning platform. Having this data allows instructors to intervene and motivate students who are struggling or falling behind. e-learning data analytics involves the collection, analysis, and reporting of information gathered from the participants as they undertake an e-Learning course. Learning analytics is an ongoing, real-time process, rather than a retrospective one. This makes it one of the prominent e-learning website features. 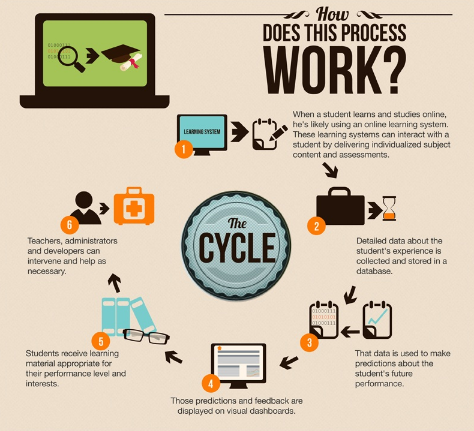 Historically, teaching online made it difficult to catch when a student was struggling. However, by leveraging emerging technology and data generated by these tools, it has made it easier for us to help students before it is too late. Identifying where students are struggling allows instructors to spend time with students more effectively and provide personalized instruction. If an individual is observed to be struggling over a particular course module, he or she can be offered access to custom tools and resources like links to specific and related websites, or audio-visual supplements that throw a greater light on the subject. Success breeds confidence, and assisting a learner’s progress with learning analytics encourages him/her to complete the course and to actively participate in its modules. What does Data analytics in e-learning accomplish? Learning analytics can reveal how a course participant is performing today, and use this information to help predict how they will perform, as the e-Learning course progresses. Learning analytics can reveal which aspects of a training scheme are working best – and which are failing to meet your expectations. It can be a guide to where resources (and money) may best be used, to achieve your learning goals. Learning analytics is fuelling the development of machine learning tools, social and content recommendation systems, network and discourse analysis, predictive analysis, content development, support and intervention strategies. Learning analytics are being used to enhance the role of facilitators and instructors, to develop tools for automation within e-Learning course structures, and to promote research. Feedback and assessment are ongoing and one of the most important e-learning website features. It is timely, it is constructive, and it models effective practices. It usually works best when there are no clear marks. One strategy is to keep a running spreadsheet of each participant to record important information. Keeping track of this information also provides you with windows into patterns and learning gaps that you can help learners fill. Another way to engage the learner is to test them on the things that they learned within the course. This allows both the learner to verify that they understood the content while at the same time the instructional designer can verify that the materials achieved the training objectives. This also helps to establish checkpoints for the learner to know if they can move on within the course or return to previous topics to review the information again. Although some students might wish otherwise, testing and assessments play a significant role in the virtual classroom. The way instructors grade students varies, experts say. Some will give multiple choice tests graded by the computer, while others will rely more on papers or major projects. 71% of students believe that virtual learning provides increased flexibility to take classes. 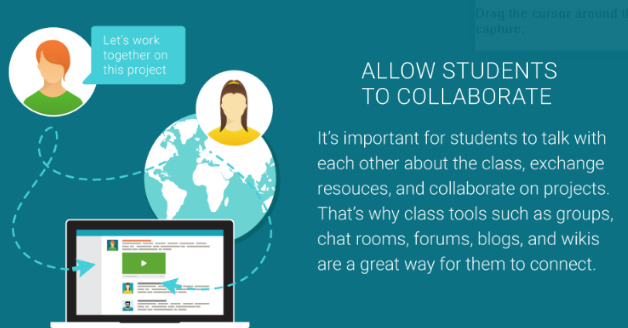 Gradebooks can offer students a deeper level of feedback from teachers than before. 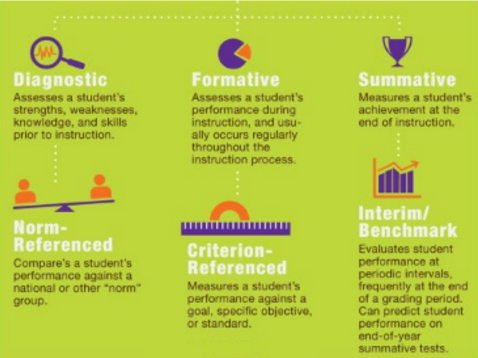 Educators can analyze one or multiple students’ performance. Utilizing a super grade book platform also means teachers can intervene earlier, helping students address issues head on. Transcripts and teacher-parent conference notes don’t provide a complete picture of a student’s strengths. By starting a data backpack or e-Portfolio, students and their parents can track their progress from elementary school up through high school graduation. The digital backpack also allows teachers to learn more about students on the front end of a new semester, from their learning styles to areas of growth and improvement. Import learner information from your LMS into the online grade book for quick setup. Integrate your grading scale into the online grade book system. Allow learners to access online grade books to view their grades. Student Information Management Systems (SIMS) in e-learning websites supervise student-related activities such as keeping records of tests or examinations conducted, attendance, appraisal on performance including details of marks scored, and all related activities; in short, they provide a complete student records system. Enables self-service for students to perform basic administrative functions and tasks in a “one-stop” service and access environment. Integrates data sources and process them through a single function that supports one-time entry of student data. Ensures data integrity, privacy, and security in an open-access environment. Facilitates the generation of real-time reports and customized reports. The dependable security system allows only designated users to access all the system capabilities; it offers various levels of security to restrict access to undefined users, and the received information from other sources is subjected to security scans. First and foremost, modern learners are infatuated with the idea of getting top quality education without spending large sums of money. Great content speaks for itself and can slowly, but surely find its way to target users and keep them loyal. Providing meaningful content means obtaining more users. Content is always the king and this makes quality content one among the top 5 e-learning website features. Course structure refers to how a course is designed for e-learning. 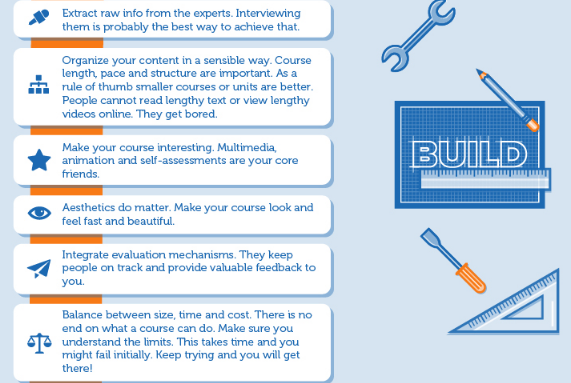 The structure of a course plays a critical role in how your audience learns the material. Group content into logical modules: Identify the flow of the course and then determine how to modulate the information. Structuring the information into small “chunks” will make it easier for your audience to follow and learn the materials. Avoid creating modules that exceed 8-10 pages: Keeping your modules to 8-10 pages will help the learner feel a sense of progress. Also, modules that tend to be long cause the learner to lose interest and thus, the learning process becomes a drudgery. Incorporate interactive concepts: Your course structure should also include interactive concepts strategically placed throughout the course. A good rule of thumb is to include an exercise or activity every third page with one major activity per module. This will establish a good balance between exchanging information and sustaining the interest of the learner. Use pictures/graphics to help explain ideas, concepts, or statements: It is always a good practice to include images whenever possible. Many times, instructional designers will insert an image just for the sake of inserting a picture. By using images to emphasize certain points of the page, you will draw the learner into the subject and he or she will be able to better relate to the concepts presented. Another requirement needs to be met in order to maintain a smooth running educational website. The process of registration and payment needs to be as quick and easy as possible so as not to create unnecessary delays in the delivery of content which could discourage potential users from applying. Luckily, contemporary edtech design is constantly developing and coming up with efficient solutions to provide easy access to content and to manage payment system. One such solution can be found in WordPress LMS theme for online courses, Skilled, which integrates with the Sensei plugin to produce quick signing up for courses and easy charging for courses through Woocommerce shop support. Making it as easy as possible for your customers to pay is essential for increasing conversions and sales. Online payments are faster than manual payments since you don’t have to wait for the check to arrive or for it to clear. The whole process – from submitting an online payment to updating your bank account – can take a matter of seconds. If you are confused about which payment gateway to choose for your e-learning website, read our blog post on Everything You Need To Know About A Payment Gateway Process Cycle for curated lists and reports on all payment gateways in India. Steps must be taken to provide continual motivation and a sense of progress which is a feature found on every up-and-coming e-learning platform. The key to achieving this is to create relevant and diversified tests to follow each lesson so as to provide students with a sense of completion and evaluation of their work. With Sensei plugin that seamlessly integrates with a vast majority of WordPress LMS premium themes, tests can be created and graded in numerous ways that add to the variety, which is always a desired quality in education. Additional successful means to motivate users is to provide visual progress tracking on progress bars above the lessons, a feature also provided by the Sensei plugin. For surprising statistics on e-learning, read 50 Striking Statistics About Distance Learning in Higher Education. 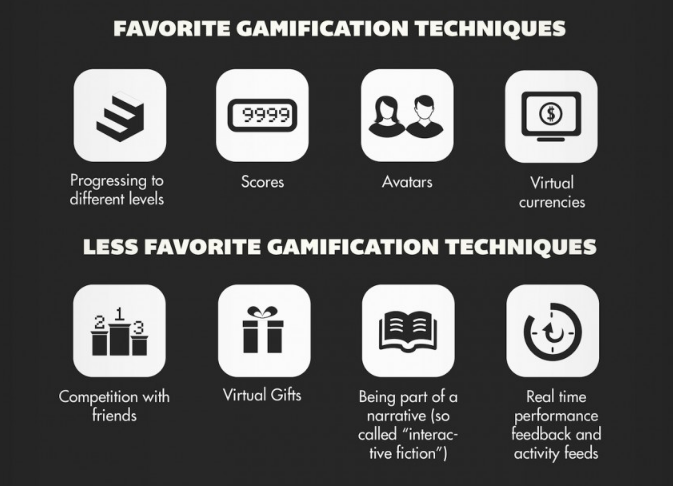 In the field of online education, Gamification is used to promote the commitment of employees and students to the learning process. Extensive studies show that games are very effective in increasing levels of interaction and motivation in learning, which in turn help to shape knowledge and optimize the learning process. In fact, according to these studies, 89% would be more engaged in an e-learning application if it had point-system. An engaging management-training program based on gamified application. Trainees go on quests, alone or in groups, and use their new skills in real work environment. Leaderboards show their progress making the training fun. Engaging employees in building the brand, in this case, was done by creating #GoingSocial program that offers points and rewards for collaboration, publishing on the company blog and some social activities. Employees are involved and the company is actively present in media. Win-win situation. While social media remains a popular way to connect with peers, online forums create a way for students to mingle and discuss courses, assignments, and other pertinent information. It also provides an extra outlet for students to get answers to questions from fellow students or their professors which adds this to the list of the most important e-learning website features. Most educational institutions already use on a CDN or CMS to upload recorded sessions, but very few institutions have implemented video capture technology across the platforms. One of the biggest hurdles to widespread implementation is that most of the systems for recording and broadcasting require installation of dedicated hardware which can be hard to move from class to class, and let’s face it—using a laptop webcam to broadcast a class is probably the worst way to implement class offerings on a wide scale. However, there is a portable option available on the market called Epiphan Pearl, which is capable of capturing two HD sources simultaneously. The dual capture input is especially useful for professors who incorporate multimedia in their classes and need to switch between lectures and visual outputs like PowerPoint presentations or online content. Educators spend a lot of time reading, researching, and getting involved with other educators in online Professional Learning Networks. This paired with personal experiences can lead to the curation of important resources that support the learners and learning goals of the course. The advantage of e-learning is that it provides the learner with additional resources and information with just a click of the mouse. Linking to additional references can greatly improve the learning experience and offer added value to the content of the topic. Online education leans heavily on individual learning. When students need to connect with others, based on differing schedules or backgrounds, it can be problematic for non-traditional or busy students. 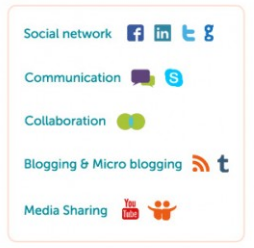 This makes online communities feature in the list of top 10 e-learning website features. e-learning websites are building the trusting relationship with users by creating and displaying teachers’ profiles, offering scheduled one-on-one sessions with tutors and most importantly, creating a social network of their own to encourage networking between students and other users of their content. BuddyPress plugin is one of the most commonly used to integrate with premium WordPress themes. For those whom the classroom model was too limiting, e-learning has opened up new opportunities to pursue higher education. Distance learning has grown in popularity as the Internet and better technology has enabled increasingly dynamic and engaging learning experiences. Many creative ideas are discarded because they do not work. Likewise, a well-organized e-learning website can be ill-received if it does not function properly. There is a need for finding a more creative and engaging online solution that fits the lifestyle of both traditional and nontraditional students. Keeping in mind never to allow technology to become the main focus of the training. When technology becomes the center of attention within an online course, the learner will often fall short in achieving the course objectives. For more information on websites and design, read our blog today!